STK Los Angeles is your #1 CHOICE for catering - at home or in venue, from cocktail reception to full scale event. 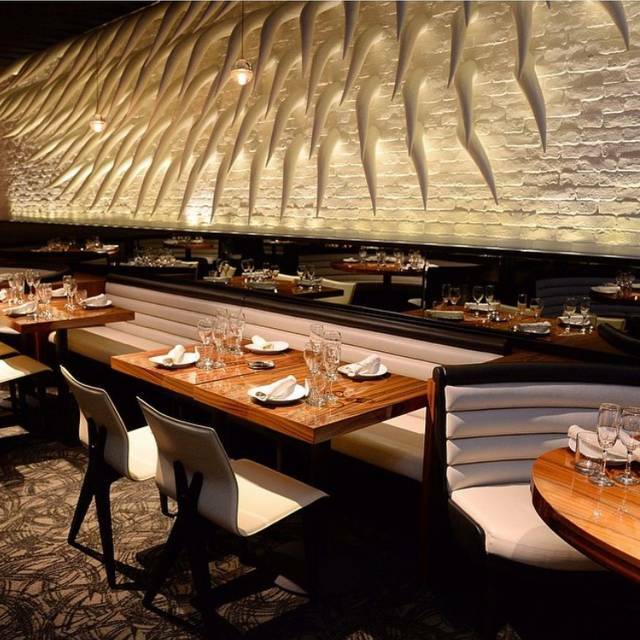 STK artfully blends two concepts into one—the modern steakhouse and a chic lounge. A large central lounge area is furnished with creamy leather banquettes and textured crocodile tiles, and is surrounded by an elevated dining room for more formal dining. Theatrical lights illuminate each table, while smoky mirrors allow patrons to catch a glimpse of the surroundings while a DJ creates an energetic vibe throughout the entire space. STK Los Angeles is located in the heart of Westwood at the W Hotel Los Angeles- West Beverly Hills. As anticipated, steak is the main attraction. 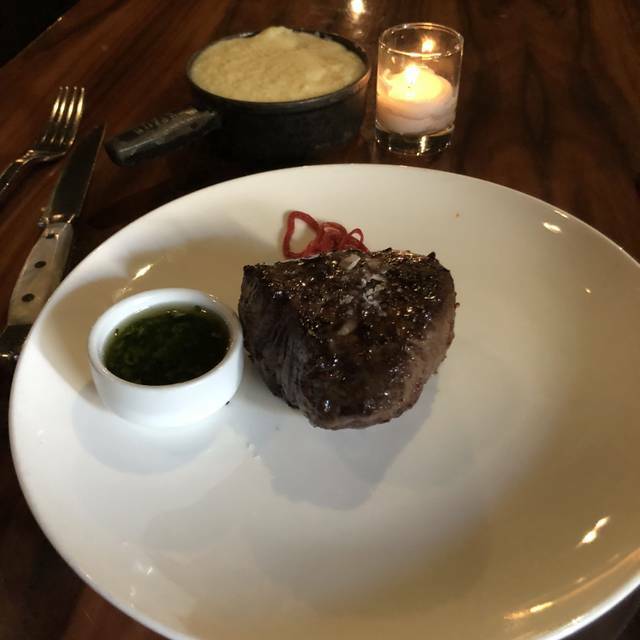 STK offers small, medium and large cuts of meat, as well as naturally raised options and market fresh fish entrees. 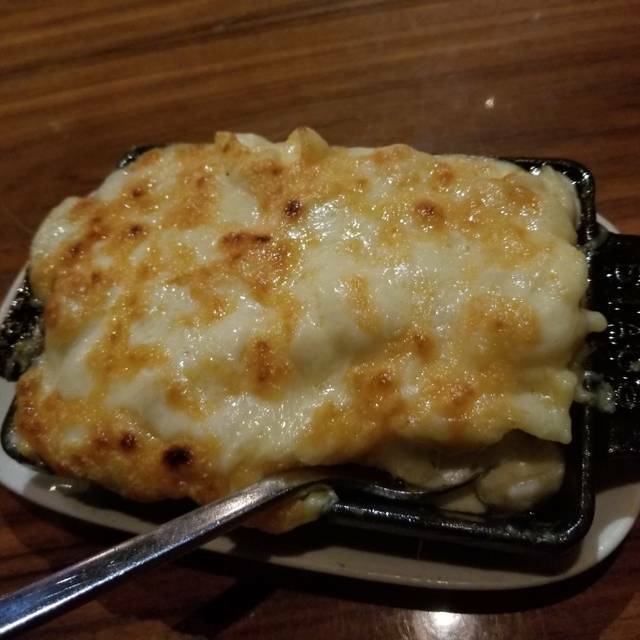 Aside from steak, signature items include Parmesan Truffle Fries; Lil’ BRGs; Shrimp Rice Krispies; Sweet Corn Pudding; and Jumbo Lump Crab Salad. Cowboy Rib Steak 34 Oz. The waiter was terrible bad energy didn't listen and purely acted as he didn't want to serve asked him for a few things and didn't listen and did it wrong. The food was amazing! Our waitress seemed like she didn’t wanna be there and wasn’t very friendly. Maybe she was having a bad day. Anyway. Other than that the experience was chill and the food was great. Very filling and delicious. Out waiter was absolutely horrible. Took him 30 min just to get my drink order. This is my second time here I gave it another chance after the first time I went and the DJ was playing rap music for 2 hours which was obnoxious. I noticed the DJ was different this time. Both times we went on a Friday night.. The managers of this restaurant appear to be catering to a younger, hipper crowd who either are upper income or on expense accounts. Three of us enjoyed 1 bottle of merlot, 2 of the smallest steak filet's and one "cowgirl ribeye" (bone in), and 1 side each of mashed potatoes, truffle fries, and sautéed brussel sprouts, and a shared flourless chocolate-cake desert--all really delicious. But the bill, including 20% tip, came to $504 (plus valet parking). That's too expensive for a restaurant in which the re-mixed song hits from the 80s is projected so loud that it is difficult to hear each other speak. Overall, always great steak and sides. Food was good. Not worth the price. Had steaks for a lot less that tasted better. Sides were just okay, nothing special. This is a very great restaurant with a high quality services and high skills food. Finally, a good restaurant is in Westwood Village. The food, salads, steaks, fish, veggies and desserts, is excellent. Very fresh. Delicious. The Cloud dessert is amazing, very pretty to look at, very sweet, and tasty. We will rety. Elegant, understated steakhouse in the W Hotel. Perfect for pre-theater dining before a show at the Geffen. Their steak selection is amazing. Various options for dressing and side dishes. 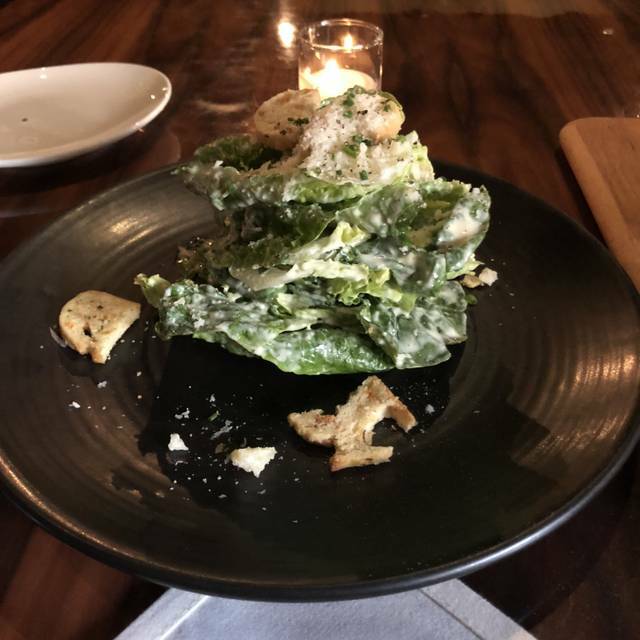 Their servers are all very accommodating and knowledgeable in pairing your food as well as giving you great choices for wine to go with your food. Order for the tasting and not for the size. Each dish has a small portion, enough for you to get a good taste of the ingredient. Outstanding service, the food was tasty and cooked perfectly. Would recommend STK to all my family and friends. Food was OK but outrageously over priced. Was cold, austere and very piped in loud music for no reason. Amazing STK at the W! Food is sensational and ambiance makes it... a must on a Saturday! We had a great dinner @ STK over the weekend. Food and service were on point. I came to LA for for my 30th birthday with a group of friends & decided to eat here since I love the STK in Vegas. The STK in LA met beyond my expectations. The manager Jordan even stopped by a few times to make sure everything was going well! Upon arrival we were greeted by friendly hostess’ & they sat as straight away. We were given the complimentary warm buttery bread that’s covered in blue cheese & a side of chive dipping sauce. I don’t like blue cheese but this doesn’t have that over-bearing taste of it which I LOVED. I ordered the glazed short rib that was full of flavor & literally falling apart because of how tender it was! My friend ordered the Lobster Ravioli that came with a hefty amount of lobster and covered in a pecorino crema, cherry tomatos, & truffle. It was really delicious. The rest of my party ordered different steaks & had no complaints as they were cooked perfectly to each of their desired preference. -Tator tots (i believe these are made in-house). They’re crunchy with a soft interior. Lastly I received a complimentary dessert & we also ordered their signature Cloud dessert in which they light the cotton candy with a torch & underneath is all this sweet goodness. Go here!! You won’t be disappointed! Loved this location. I have visited several of the other STK's so I wanted to visit this one for a friend's birthday. We had a great time. Food and service were excellent. Started off at the bar and bartenders were awesome. Dinner was delicious. We cant wait to come back soon! An exceptional experience all around, from the ambiance, to the vibe, and of course the delicious meal. We even had the pleasure of receiving a table visit from the manager who was extremely pleasant and accommodating. Looking forward to my next visit. Amazing Meal & Ambiance... STK never disappoints!! Great Food...Better Service... The Best Music........Cant wait to go back!!!!! Great atmosphere and service. We had a 7pm reservation and despite walking into busy restaurant, we were sat immediately. 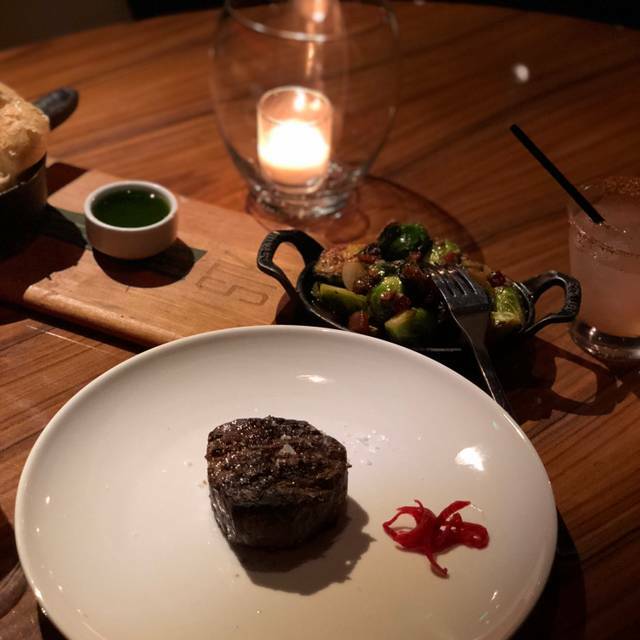 From the start of our experience until the time we left, we couldn't have asked for a better night out at STK. Love love STK. Been to several locations. Never disappoint! STK is one of my favorite restaurants in LA. They have great service and the ambiance is perfect for people who like to have a good time. The dj plays a variety of music. My favorite items on the menu is the crab salad, lil burgers, and truffle mashed potatoes. The staff is friendly and they always make me feel like family. Highly recommend dining here. Yay for STK! I live in West Hollywood, so we use to frequent STK when it was located here. 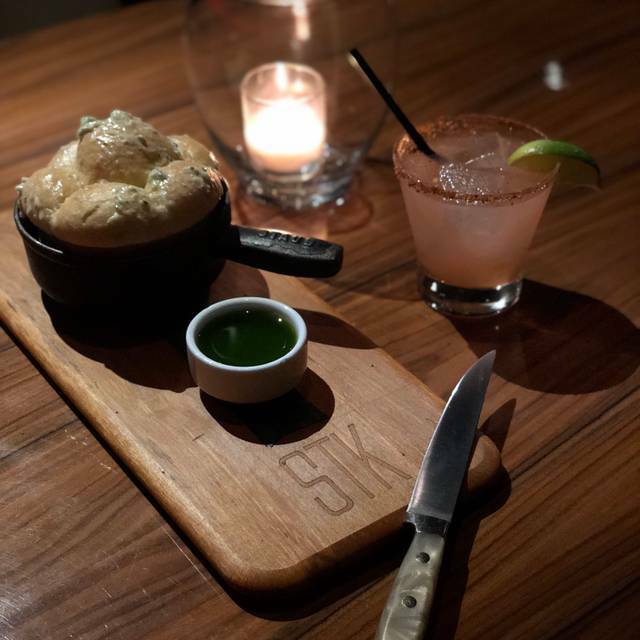 I absolutely LOVE the food and the hip vibe at STK and have been pretty bummed that they are no longer around the corner. Sunday night we were craving steak though so finally decided to roll over to Westwood and check out the new location. STK is now the restaurant located inside of the W hotel, Westwood! W hotels are swanky and hip so the STK vibe fits really well. Upon arrival at the restaurant we were immediately greeted by a friendly female hostess. Our table was ready so we were seated within a few minutes of checking in. 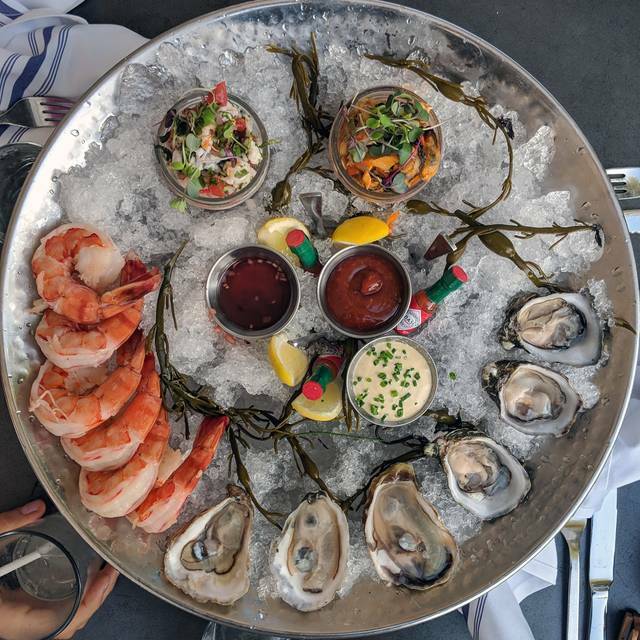 We started with oysters, always a good call here! Shared a bottle of Justin Cab and I satisfied my craving with a Filet and Mac&Cheese. We ordered veggies too. I ate everything and left extremely satisfied and way too full. The manager stopped by our table to see how our experience was and he was so charming! I was so full I could barely speak but my boyfriend made sure to let him know we were having a wonderful date night. This STK is a bit off of the beaten path but I think that's part of what makes it so unique. It felt like a bit of a staycation even though it's just a hop skip and a jump ($12 Uber) from our normal stomping grounds in West Hollywood. 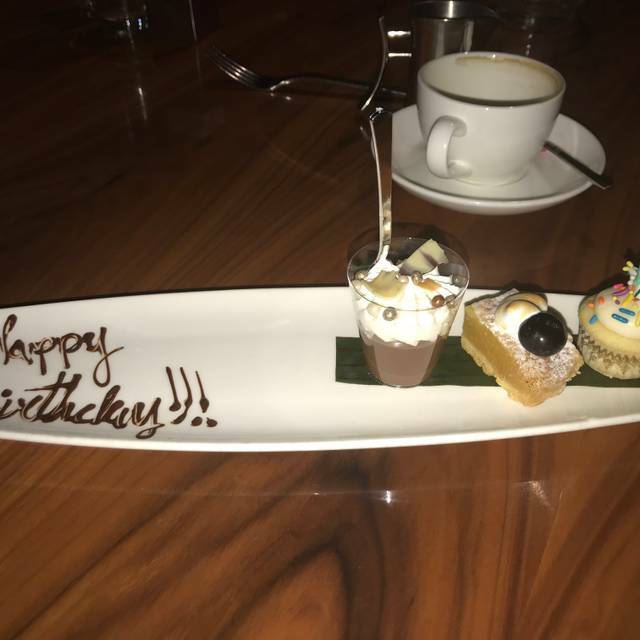 Once again, thank you STK, we'll definitely be back. I would highly recommend coming here. WE HAD the BEST time. Loved the food and the had the best waiters, thank you. Food, decor, ambience is all incredible. One of the best dinning experiences I've ever had. This place has everything! Came on a Saturday night and started with Seafood Platter, Beef Tartare & Lobster Ravioli (my favorite). 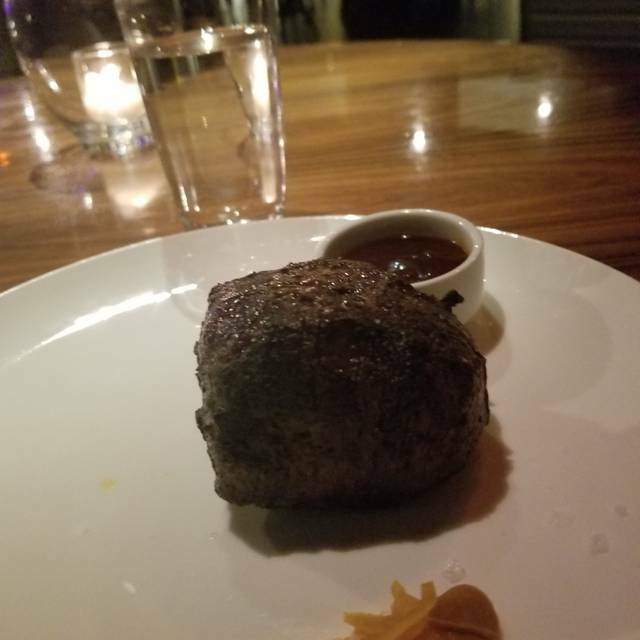 Steak was super on point, and the best I have had in this city in years. We ordered their Cotton Candy Dessert too, which they set on fire, and it was a pretty solid way to end the night. The DJ was great and played some really fun songs I had not heard in a while. Definitely a great place for a night out with friends or even a date. Will DEFINITELY be coming back here soon. Excellent eating experience... from walking in the door and being greeted by employees, seated promptly and drink order taken immediately, was 5 minutes. Also, I informed them (when making the reservations) that I will bringing a guest that was more on the bit more heavier side and I did not want her to feel one bit of embarrassment when we are being seated and they followed through amazingly are table seating was in a perfect spot. They didn’t hide us or made us the center point of the restaurant it was just awesome! They played good variety of music throughout the evening ranging from old school to new school! The ambiance was welcoming for any age. Our food was incredible, severed hot and excellent! The flavors were delicious however, for the desert I order the #TheCloud if your a fan of rum this is for you otherwise it’s a pretty neat presentation! Our server was the BEST!!!!!!!!! Hands down I wish I could tell you his name but I can’t remember but he made our experience worth it! The food was good and the ambiance was really nice. I think it was a little too pricey for what you get. The Tennessee tea was amazing. The waiter accidentally charged us incorrectly and we still waiting on the charge to be reveressed. But overall it was a nice outing with my husband and friends. We dined ar this location before for another birthday and had a great experience so we decided to come again to celebrate my birthday. We came in on time and had to wait for 10 min until the host come to check us in. No complementary dessert like the previous time we were there. The lamb I ordered medium was overcooked more like well done. Will not be back. Overpriced and inconsistent service.